Travis Lyles. Photo courtesy of Columbus Police Department. Columbus police arrested two people for their efforts to cash a stolen check yesterday afternoon. Police were called to Centra Credit Union on Union Street at about 3:30 Thursday after a suspect tried to cash a stolen check at the drive-through window. Bank officials say that the account had already been closed because of previous theft activity. 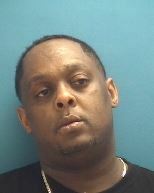 Officers arrested 35-year-old Travis D. Lyles of Columbus on a charge of attempted forgery. They also talked to a passenger in the vehicle, 34-year-old Amber F. Harris. 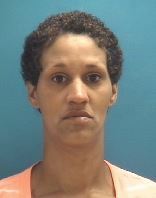 She was found to have several drivers licenses and social security cards in her purse that had previously been reported stolen from a vehicle in Columbus. She is facing a charge of theft. Amber Harris. Photo courtesy of Columbus Police Department.